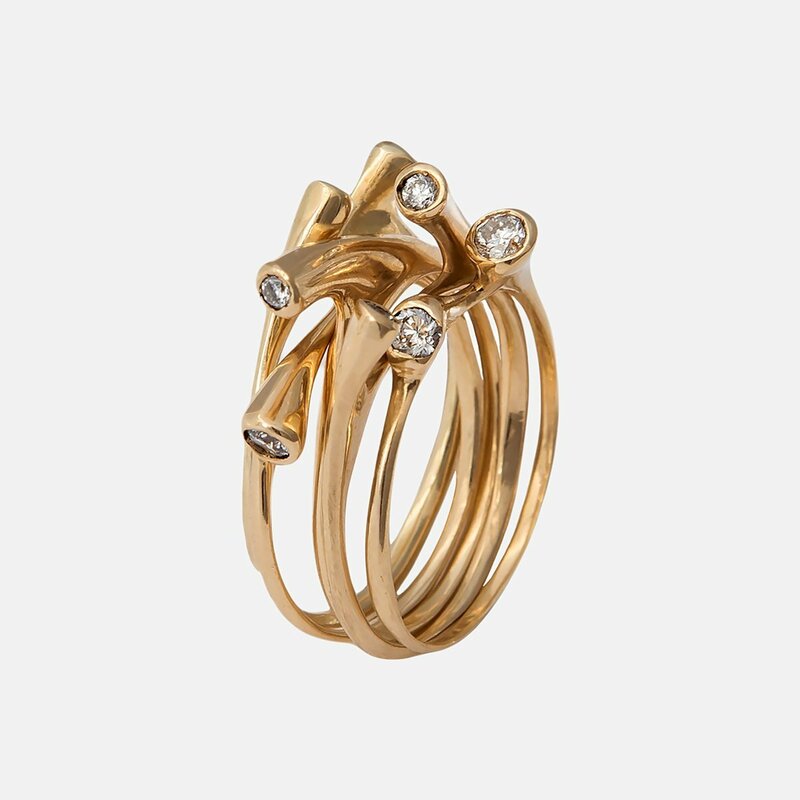 Celebrating the beauty of imperfect contours is the springboard for the designer’s remarkable collection. 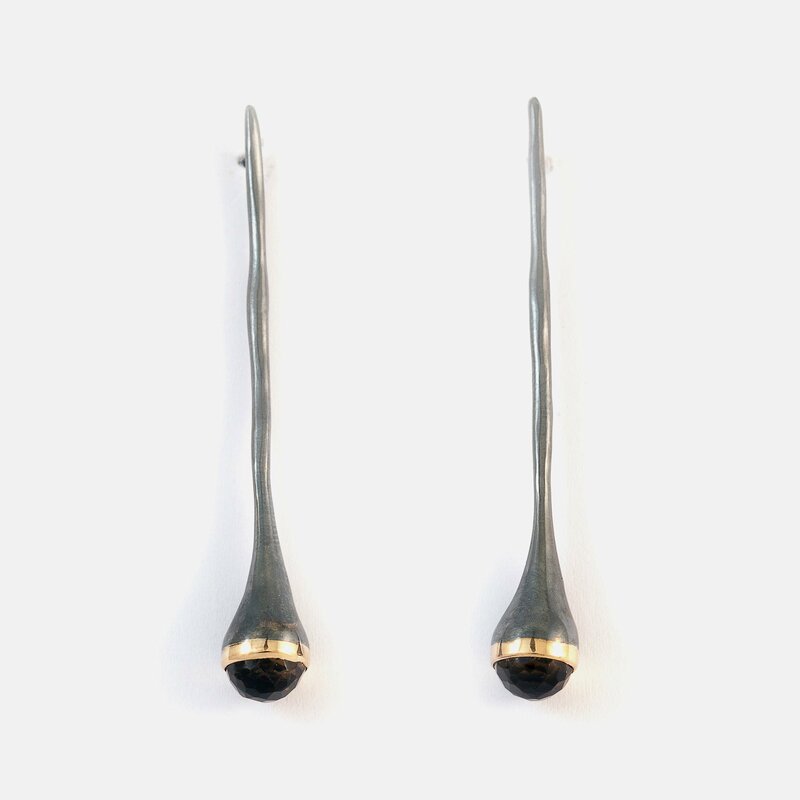 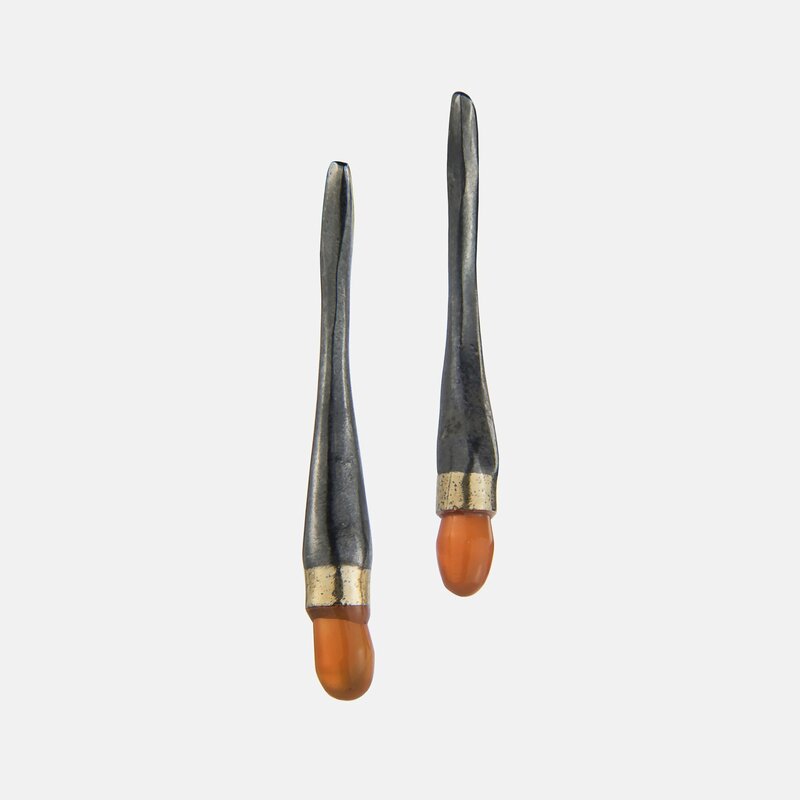 The collection evokes an immersion in the body and imbues the inert material with intuitive, unexpected lines that describe the human singularity. 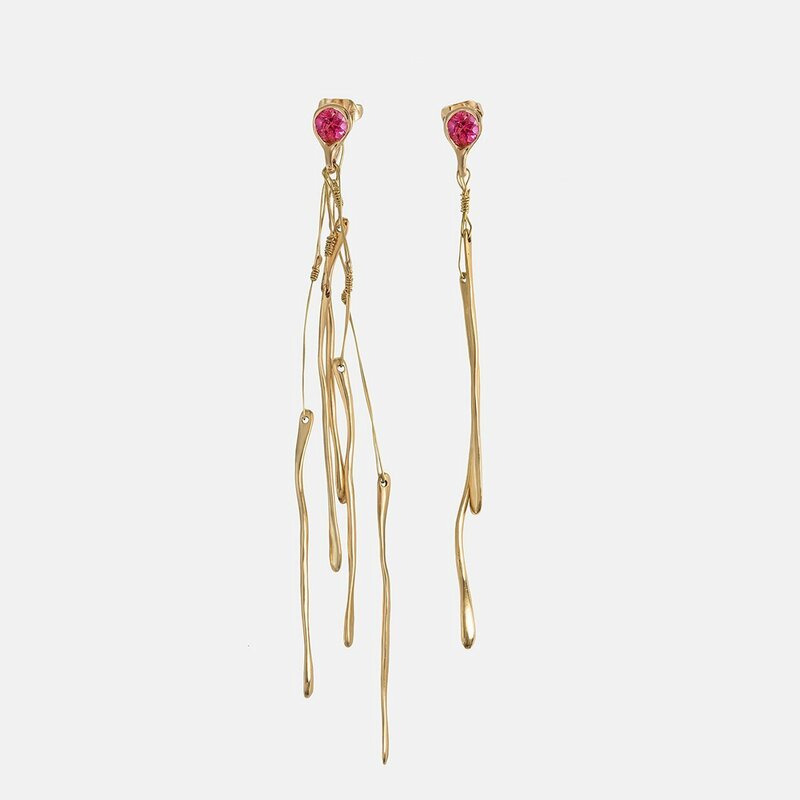 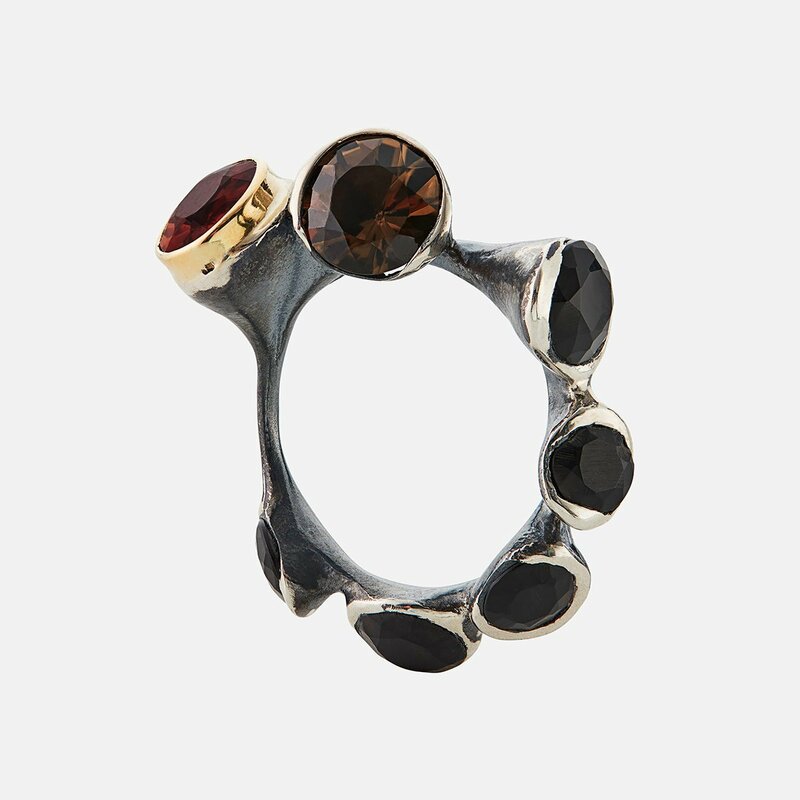 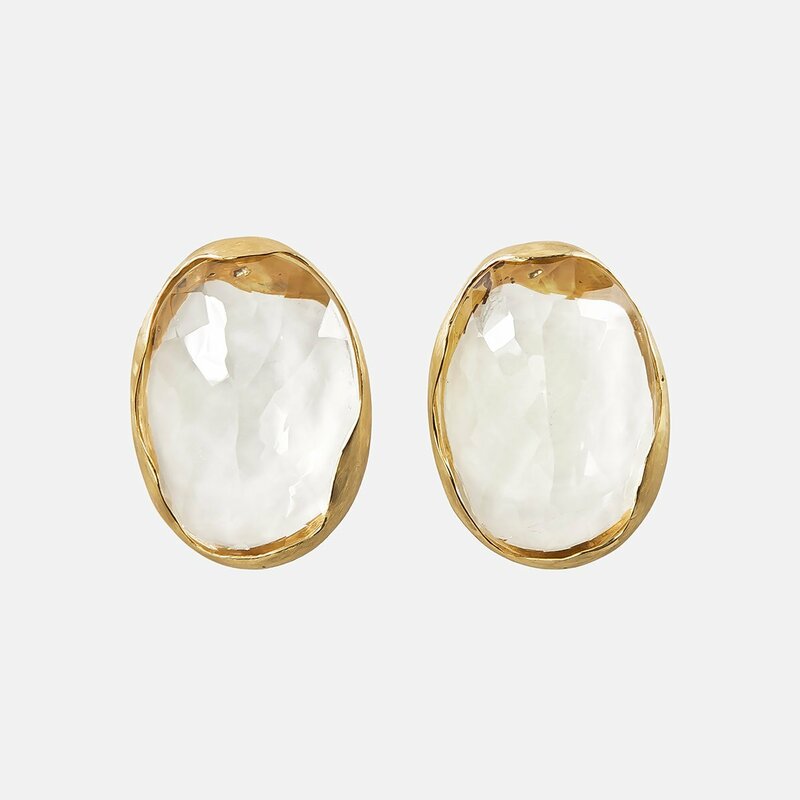 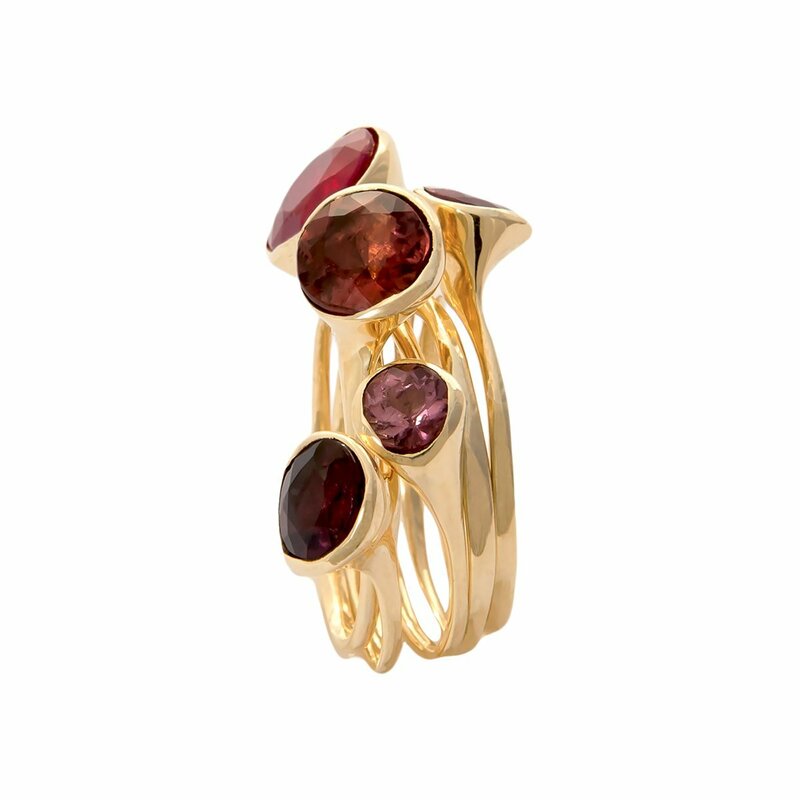 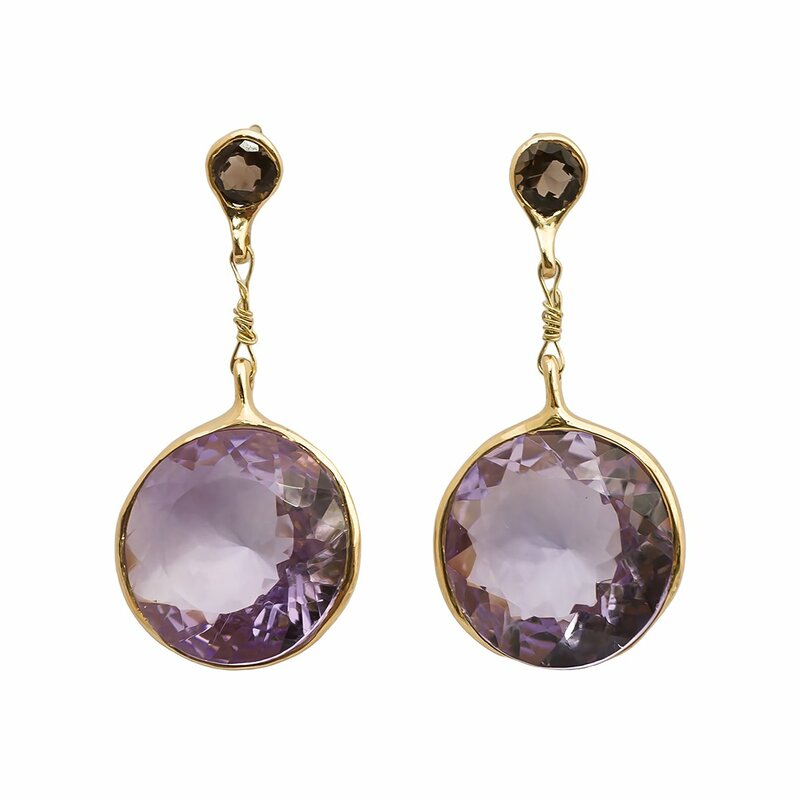 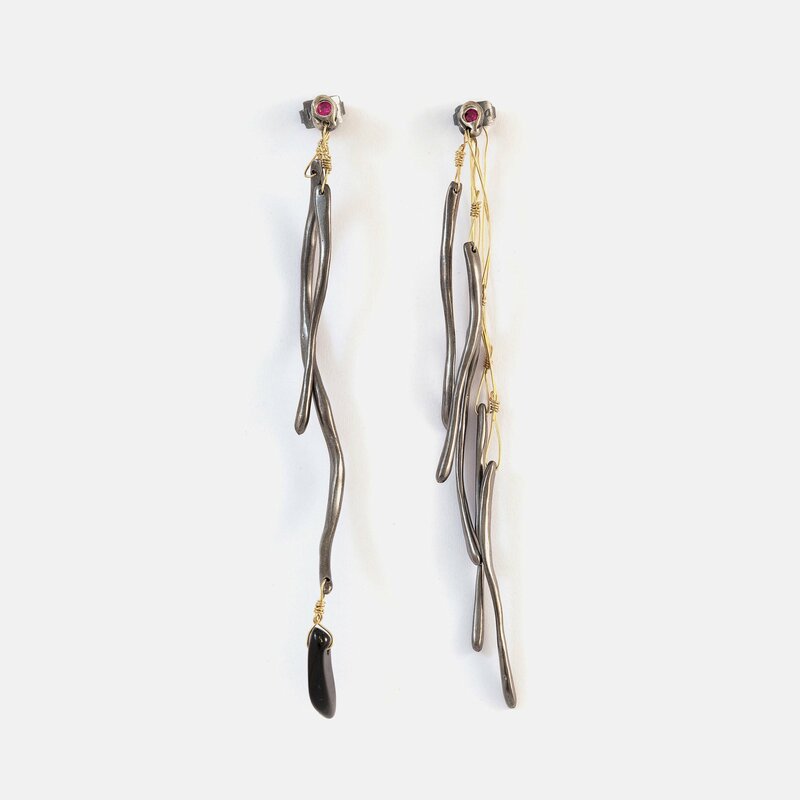 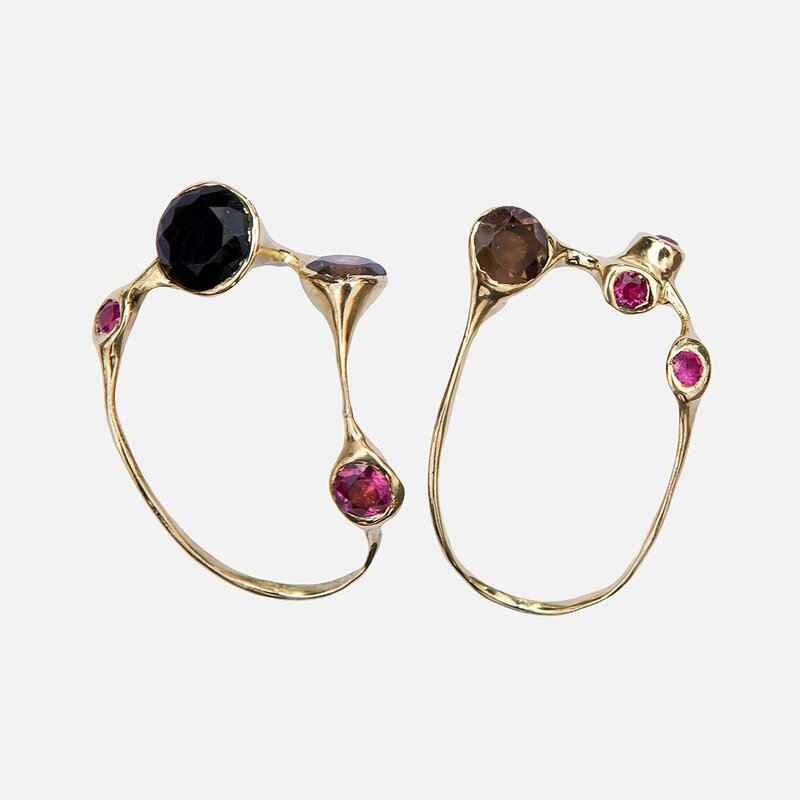 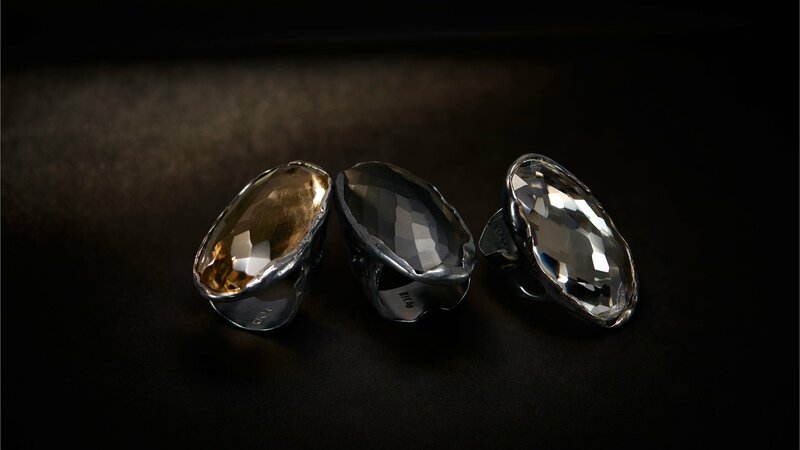 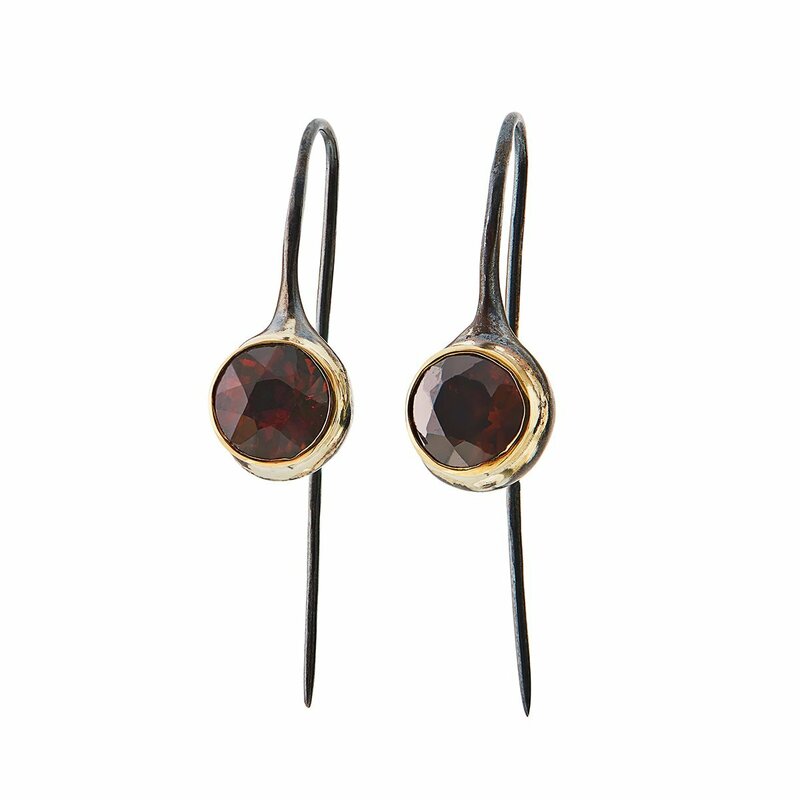 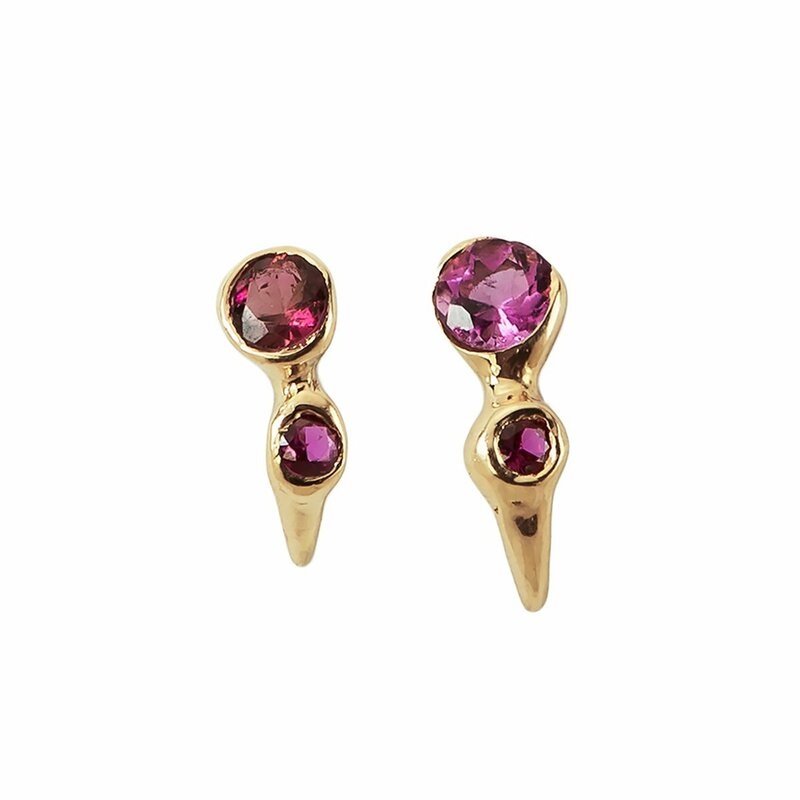 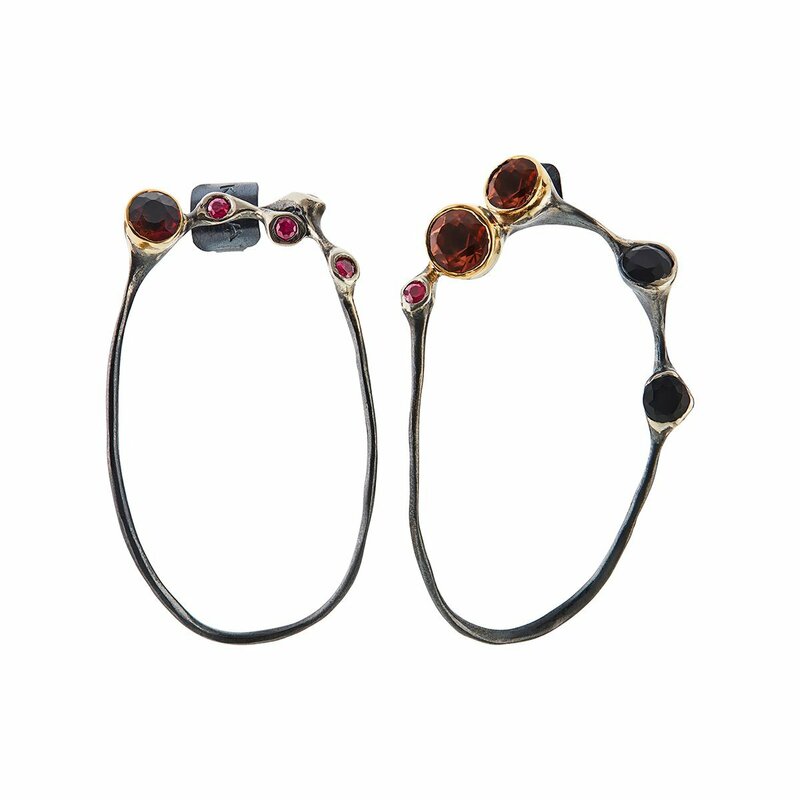 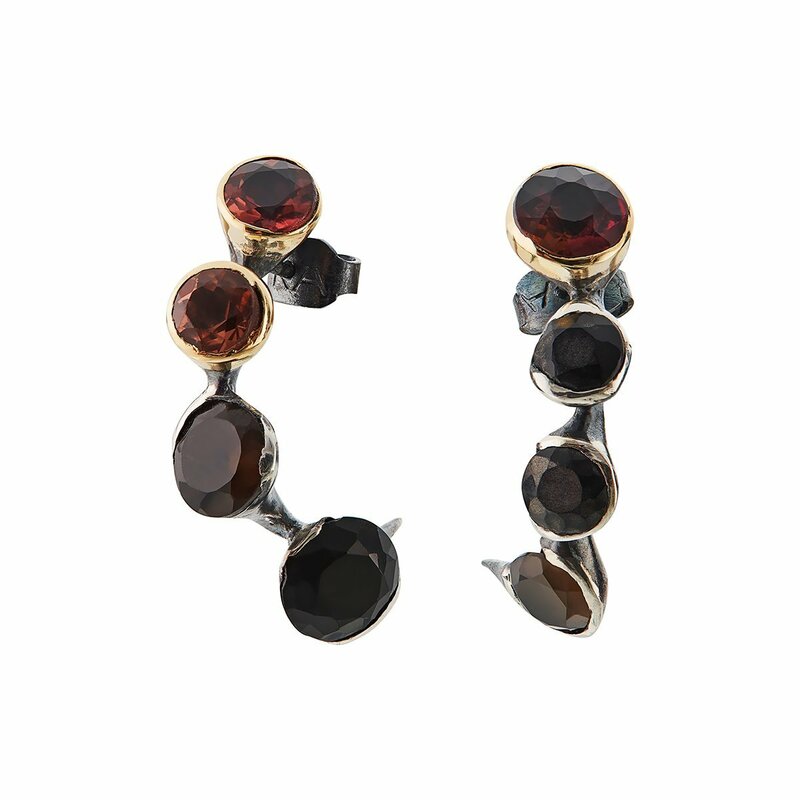 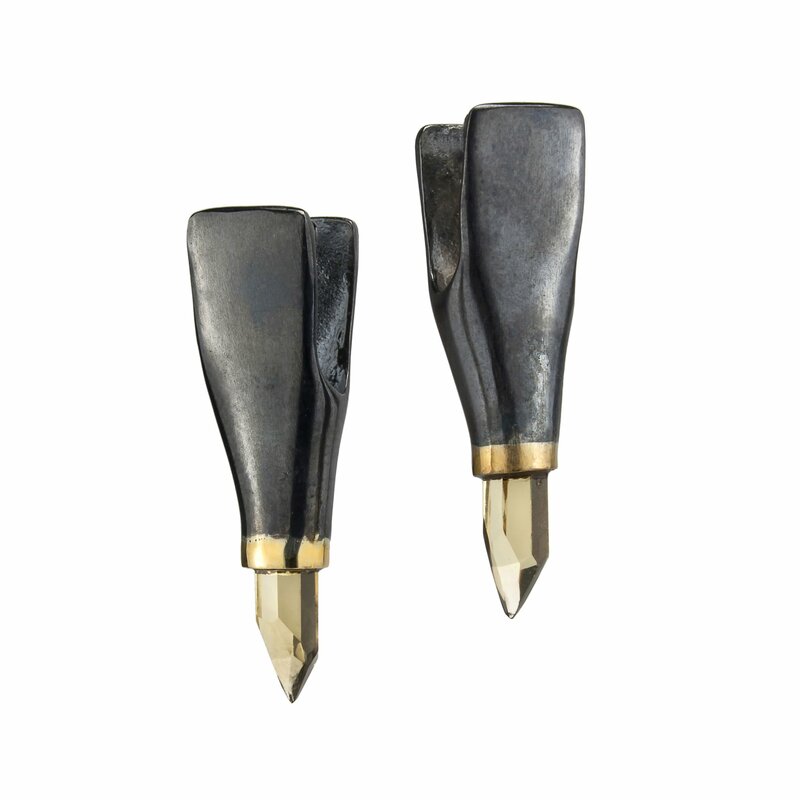 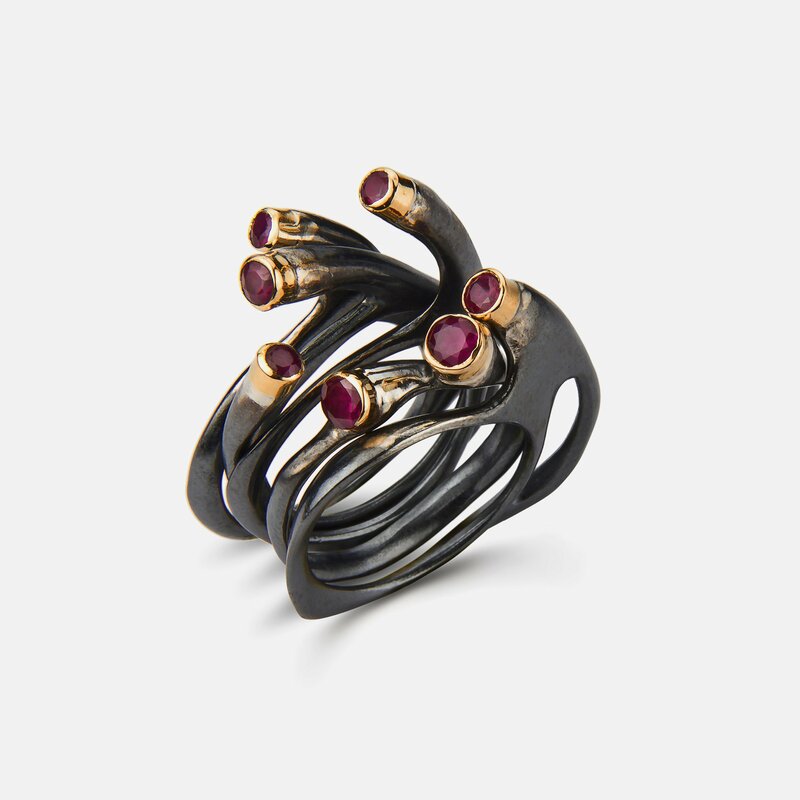 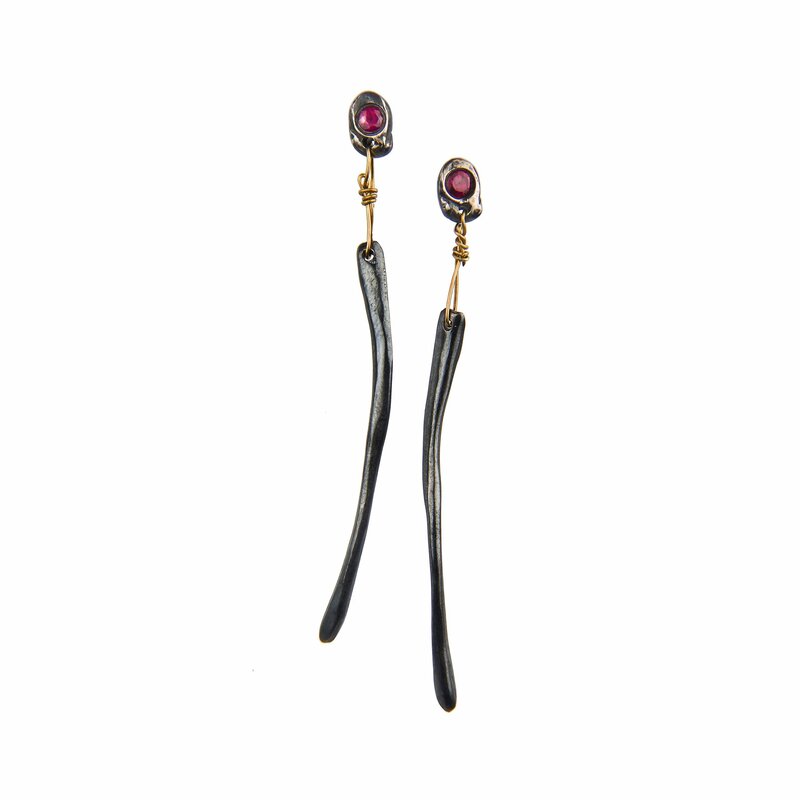 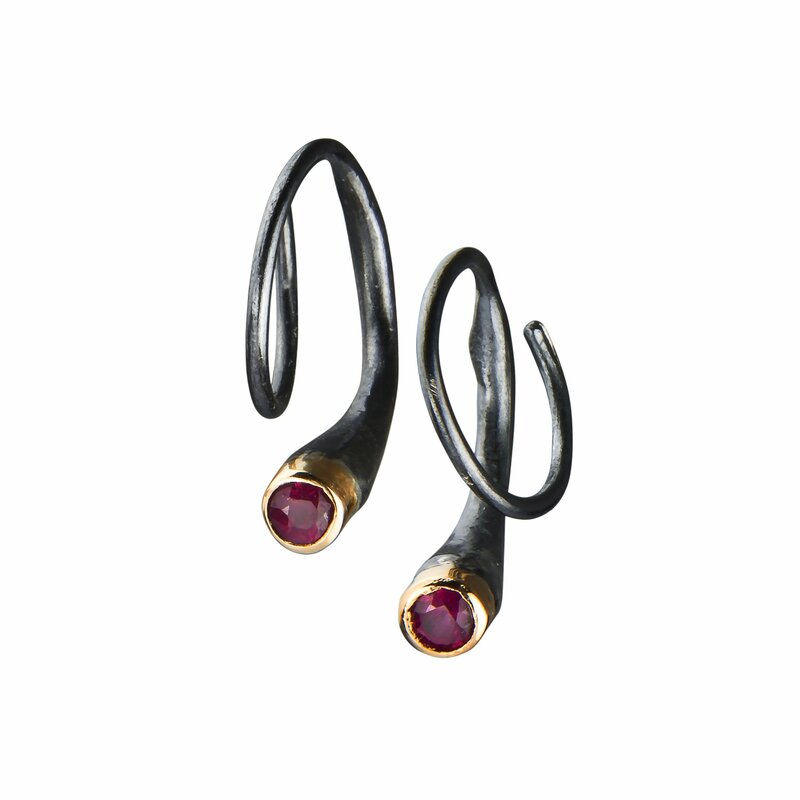 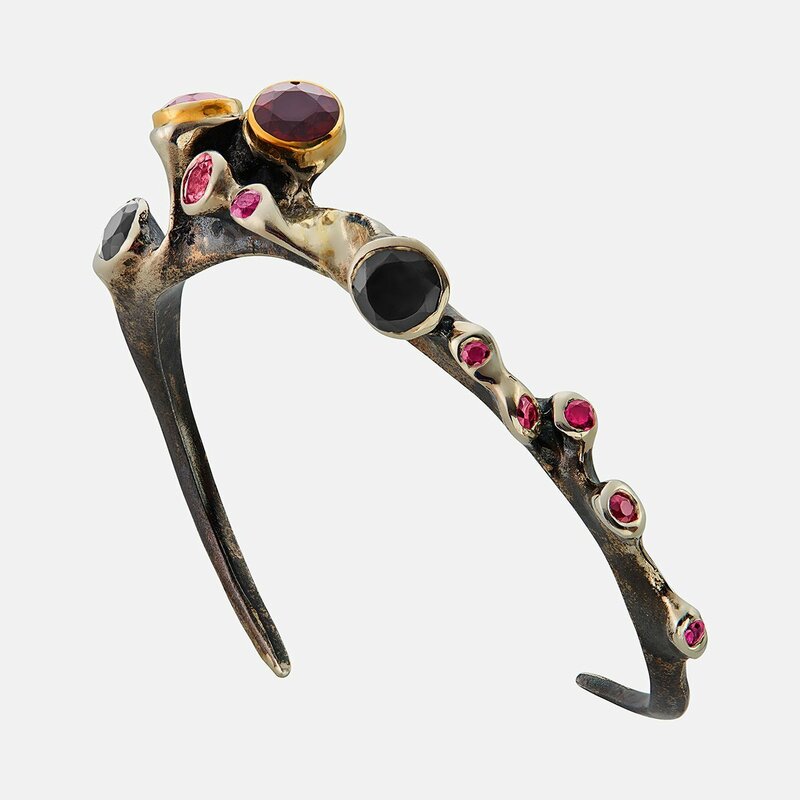 The result is 18k gold and 950 silver pieces with a careful selection of gems such as rubies, onyx and quartz with irregular and asymmetrical lines, transformed into rings and earrings. 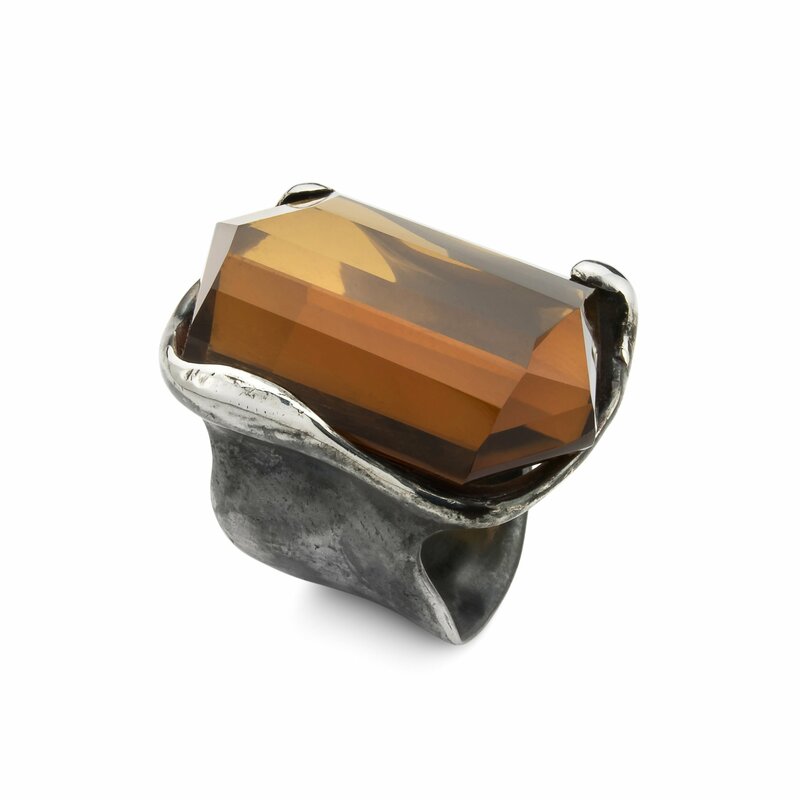 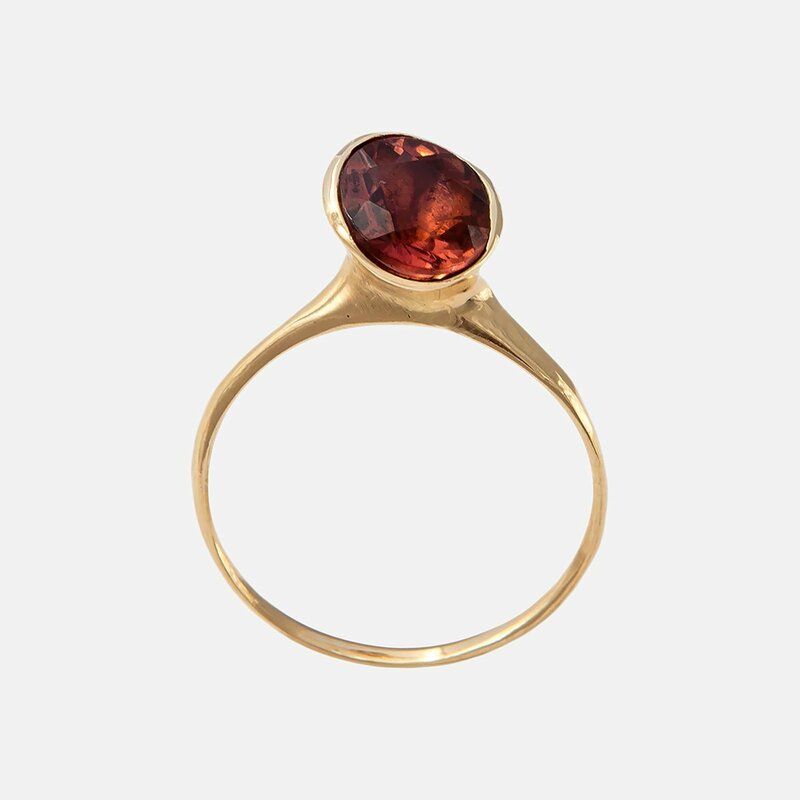 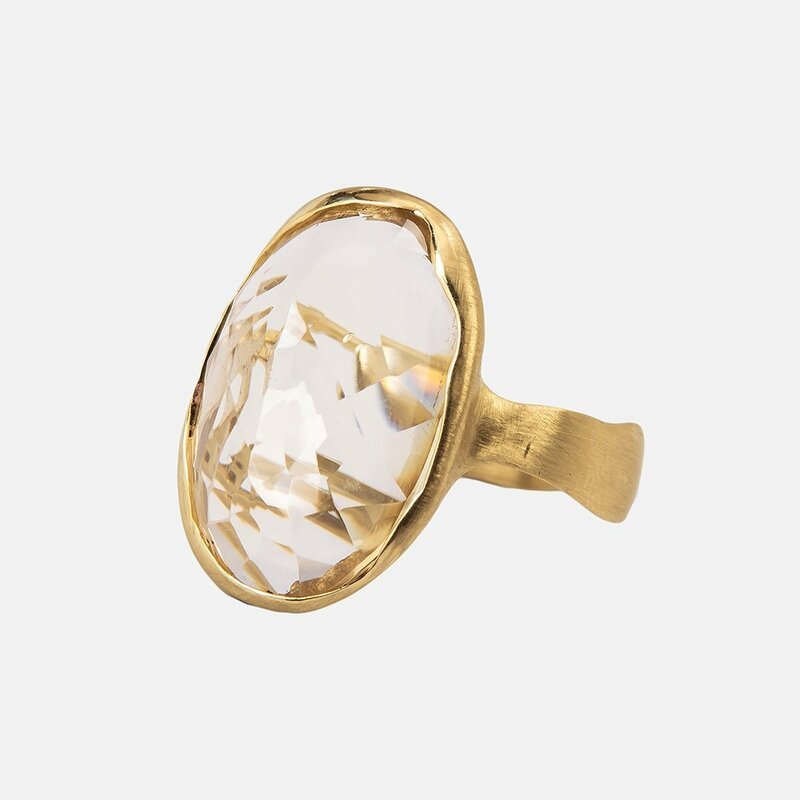 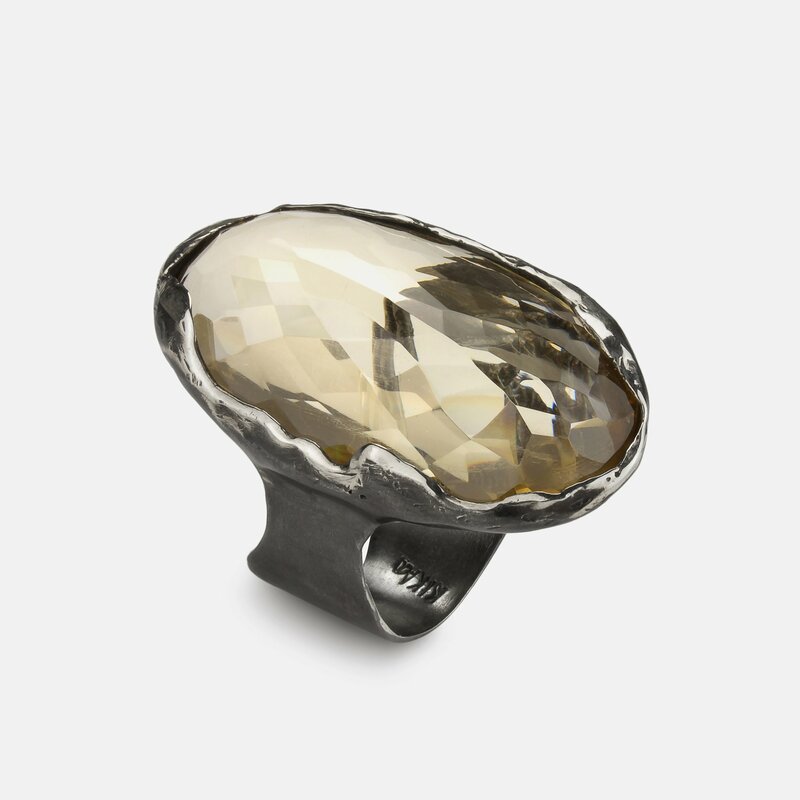 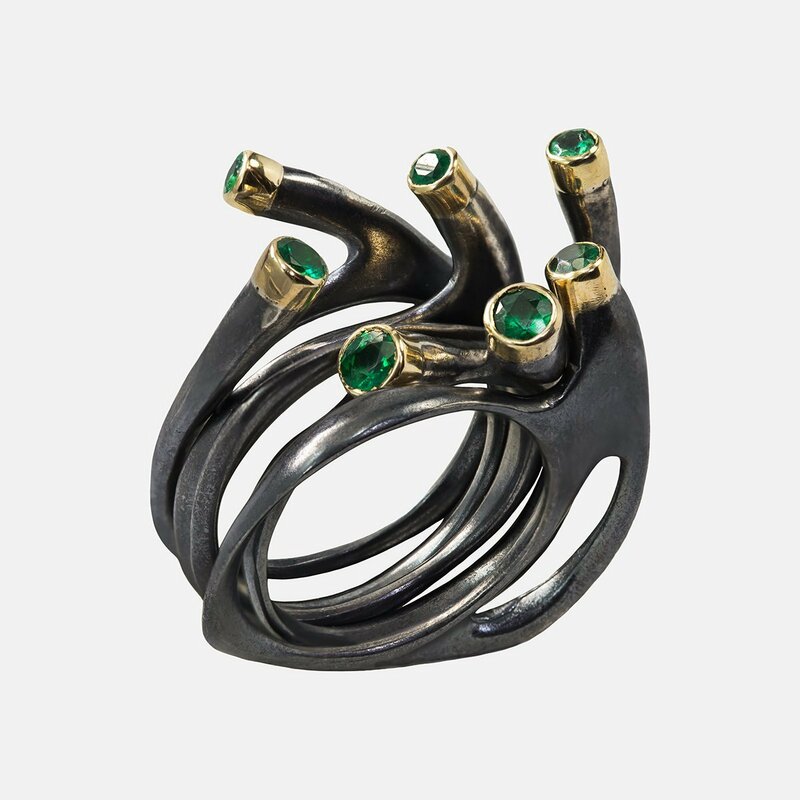 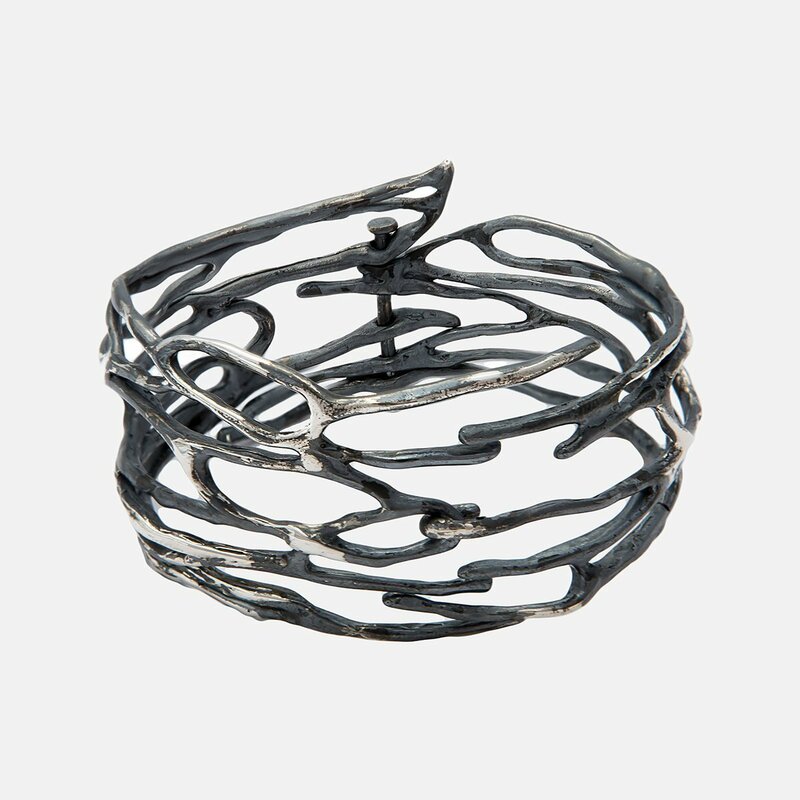 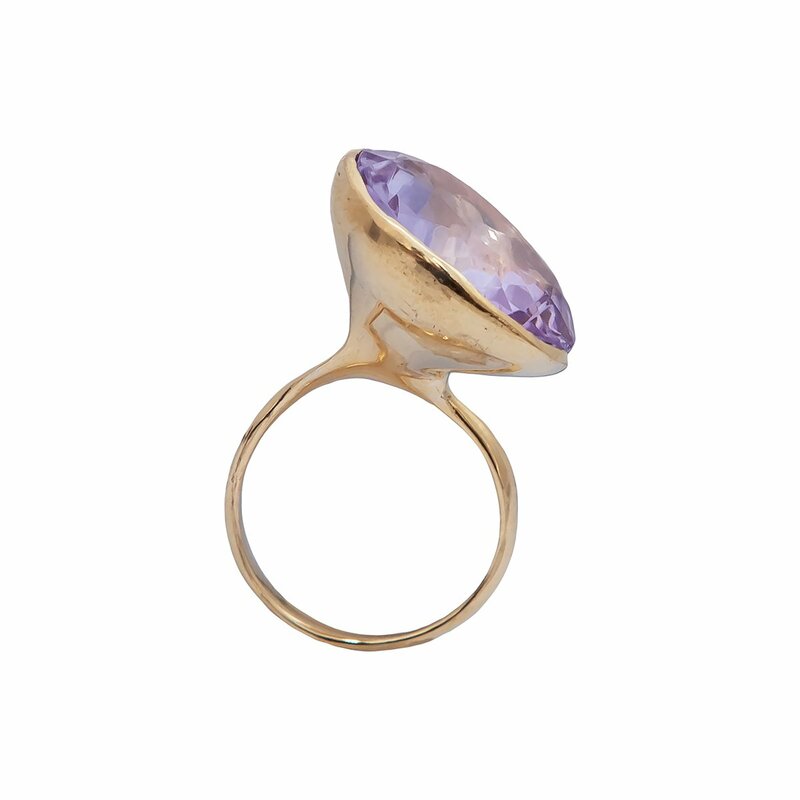 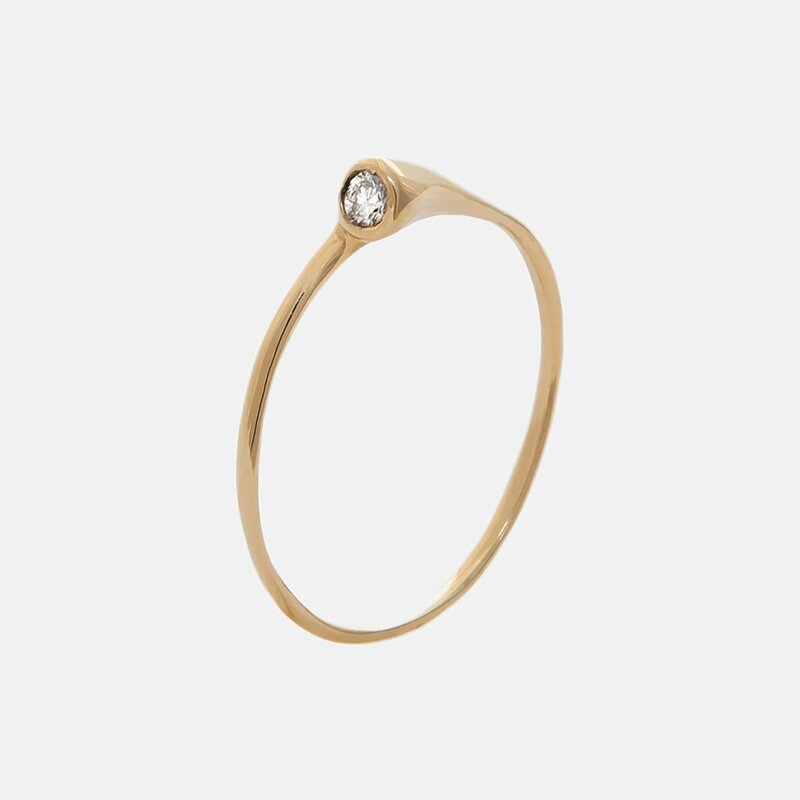 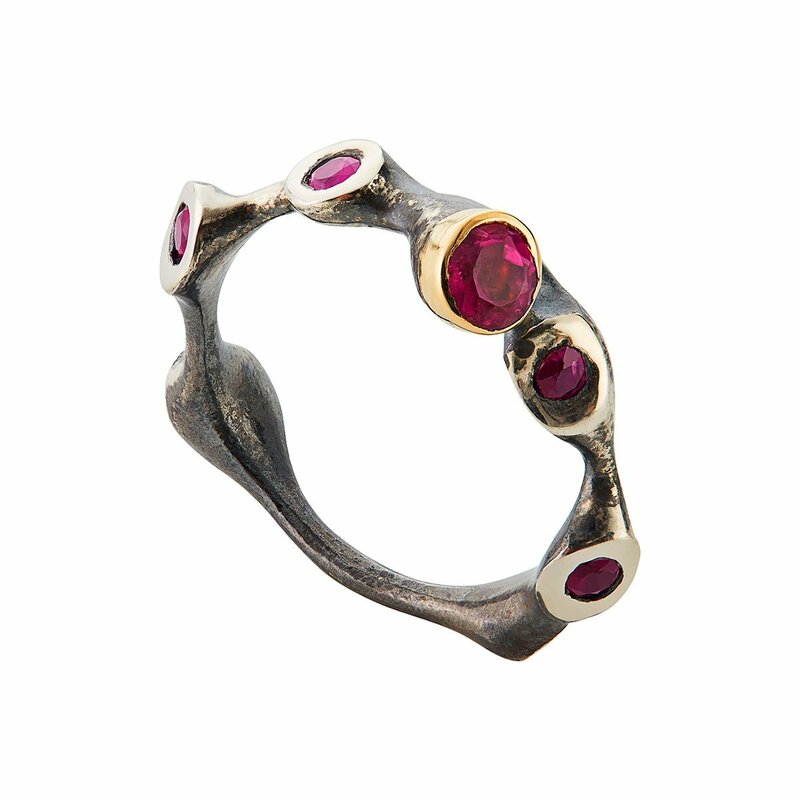 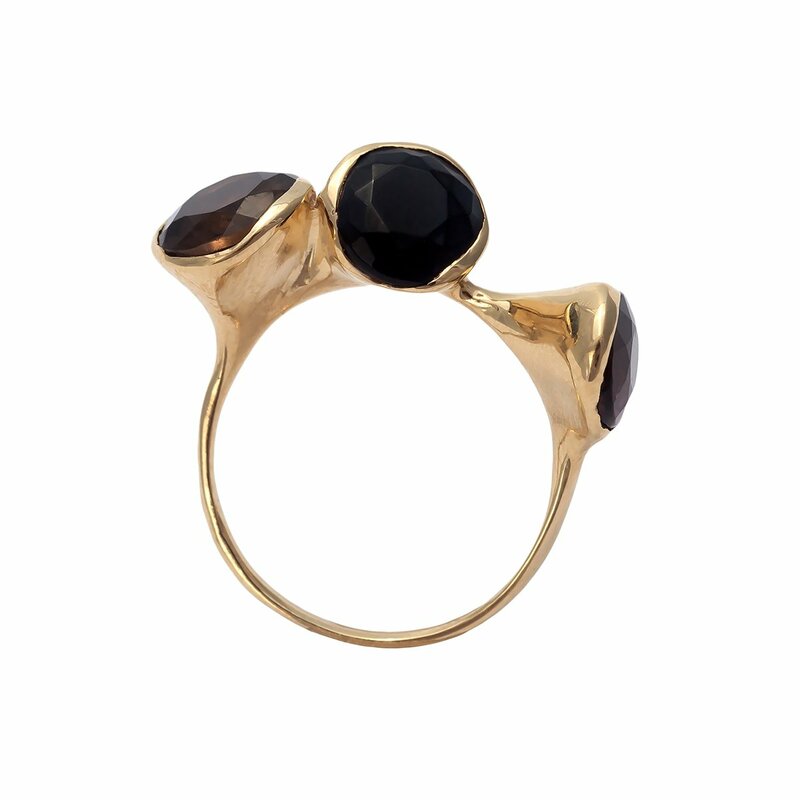 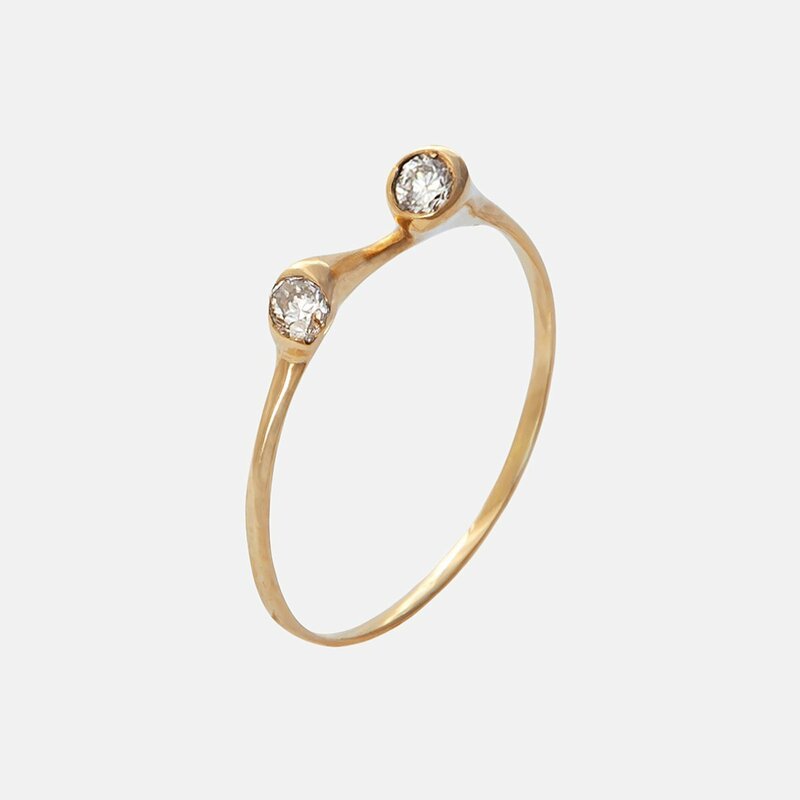 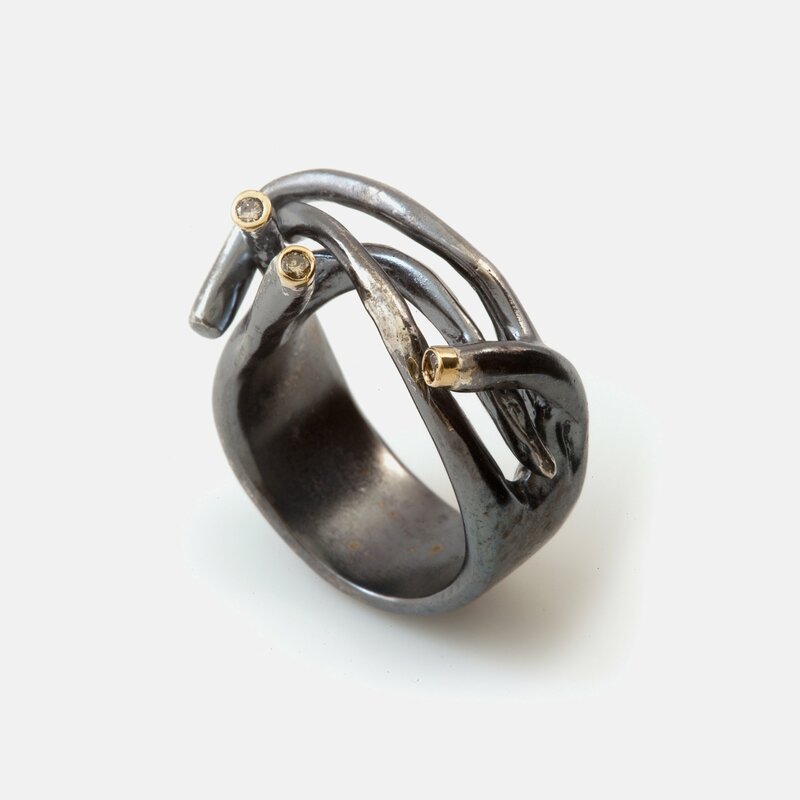 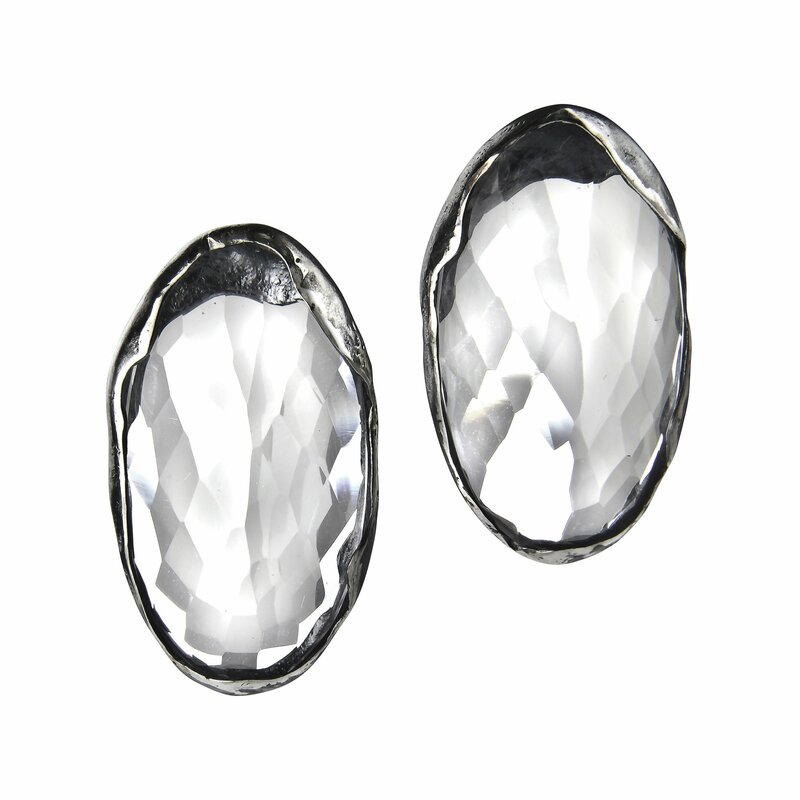 The collection’s highlight is the versatile Orgânico ring.